This is the second part of a blog on the new interpretation of an important HALLEX Rule. 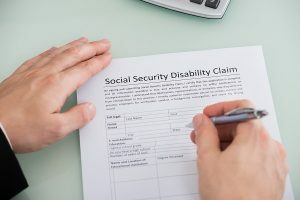 To summarize: In March of 2016, the Social Security Administration (SSA) published an entry in its HALLEX, an internal policy document outlining how the Administration handles cases to be litigated, effectively instructing ALJs that they no longer had the discretion to apply the six-month non-mechanical application in cases in which an individual changed age categories during the pendency of his or her claim. So under the new HALLEX rule issued in March, the SSA has instructed that an ALJ may not consider the additional six-month period, even though the formal regulations expressly state the ALJ has discretion to do so. This is important because under the particulars of a particular case, if an ALJ finds that an individual retains the maximum residual functional capacity to perform only sedentary work, the claimant is to be found disabled upon entering the Grid age category known as “Closely Approaching Advanced Age.” This specifically refers to his 50th birthday, but under the Grid regulation, could be as much as six (6) months before his birthday if, in the discretion of the ALJ, the totality of his vocational factors make it more equitable to consider him in the older age category. Why would the Commissioner issue such an instruction limiting an ALJ’s discretion? Money. Such a ruling cuts 6 months worth of benefits off of the claim of every claimant who changes age categories during the pendency of their claims, saving the Administration a significant amount of money. However, the attorneys at the Sullivan Law Office intend to fight this regulation extensively in federal court, because the Commissioner’s action in attempting to use an internal policy memorandum, wholly unknown to the public until after its publication, to circumvent a formal regulation subject to notice and comment and publication in the Federal Register and Code of Federal Regulations is invalid under federal law, and is serving only to illegally deny up to six months of benefits otherwise due to every claimant who changed age categories while his or her claim was pending before the Administration. If you have a disability claim, contact the Sullivan Law Office to get the help that you need in Louisville! Call 888-587-0228 or visit us online.